Hey Coffeeholics! We are on the verge of saying goodbye to 2013. It has been an eventful year but I'm definitely looking forward to awesome things ahead on 2014. As the countdown is about to begin, I bet some of us are also are reflecting and thinking about what things should we say goodbye to at the same time as we bid adieu to 2013. One thing I would love to say goodbye to (hopefully) as the year ends is my oily face with the help and rescue of Proactiv Solution Daily Oil Control. 2013 - Kai vs. Zits. So far, Kai is winning! yay! Less Zits. Still need to work on controlling my "oily" face though. Yes, this 2013 has been kind to me because I'm happy to report that because of Proactiv and the things I've been learning through Proactiv has helped me win more battles in what I've been calling the Zit Wars. Like I've mentioned in my previous post before, Knowledge is Power. And being aware on what causes acne and what I can do to control it has indeed helped a lot. The Doctors' Secret to a Lifetime of Clear Skin (click to read my review) really helped me to understand more about this as mentioned in the previous Proactiv blog post last month. As you can see there are still some things I need to overcome. One of which is to take control of my oily face. Even with all the moisturizer, foundation, face powder, and other makeup that I use - after a few hours I have to just accept the fact that I'd still be oily. So I was pretty happy when Proactiv let me try out Proactiv Solution Daily Oil Control. Especially when I learned all about its properties. The Proactiv Solution Daily Oil Control is a breakthrough facial lotion that eliminates shine and is designed to absorb excess oil to help give a more mattified appearance while helping the skin fight acne. This also helps the skin to remain soft, smooth and hydrated without looking or feeling greasy. When I tried on the product, it did give me a mattified appearance. It was absorbed immediately on my skin and I'm so glad to report that it left my skin soft, smooth, and hydrated. There was no greasy feeling whatsoever. It indeed performed the task of mattifying. I used the product before I put on any makeup. The Proactiv Daily Oil Control is ideal for men and women with oily skin because it controls and balances the oil levels and gives a matte finish after using it. At the end of the day, I did notice a difference. It was considerably less oily than before. My makeup lasted longer. I'm not saying it totally removed the oil from my skin. But it was less and it was controlled. And for that improvement I am grateful. I bet those who have oily skin and wear makeup have also difficulty in making sure that your makeup stays intact? Well the good news is with the Proactiv Daily Oil Control, your makeup won't be streaking because of your oily skin! I usually have to deal with that especially with my eye makeup. But this has helped a lot! 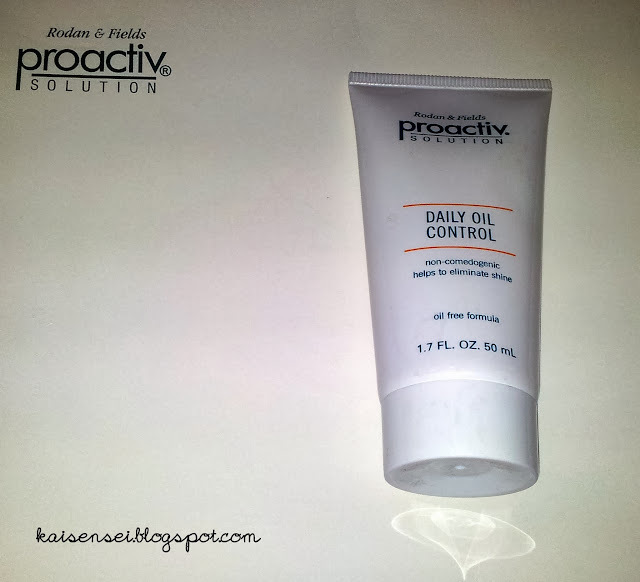 There are other benefits of using Proactiv Daily Oil Control and you can read it below. What are the benefits of using Proactiv Daily Oil Control? 1. It helps control oil and other impurities that may cause pores to clog. 2. It helps to add moisture to the skin without a greasy feel. 3. It helps control sebum production that can cause skin imperfections. 4. It helps prevent makeup from streaking throughout the day. How does it complement the Proactiv 3 Step System? Just a thin layer of Daily Oil Control reduces excess facial oil and balances your skin's natural oil level to get rid of shine. It also keeps makeup from streaking and helps keep pores from clogging while it hydrates skin, so it's great for your complexion. Directions: Use after Repairing Treatment. Apply a thin layer to entire face with fingertips. 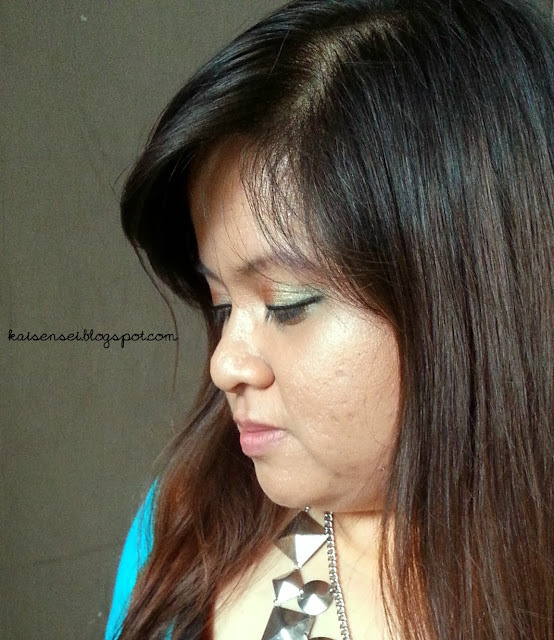 So coffeeholics, I hope with this Proactiv Solution Daily Oil Control will help me have a less oily face this 2014. Now how about you? What are your resolutions or goals for this 2014? Hope you all have a wonderful new year celebration! I'm lucky to be one of those who don't get zits ... I'm sure that those who experience these will love this though. Having oily skin can really be annoying. It's nice that proactive help manage oily skin and acne. I think with a more balanced oil in the face. You're bound to have a clear face. Pro Activ is not exactly inexpensive, but hey, if it works for, it works for you. And worth every cent! I have heard good things about ProActiv. I'm sure it does the job of keeping your skin smooth. Yep I've heard and seen its effects. Proactiv does live up to its promise. >__< tell me about it. but to be able to control it will be such a boon. With the price tag that it has.. yes it should and is worth it! Thanks! Still working at it though. hehe. Happy New Year! Haaaay.. I envy you talaga. haha. oh what bliss to have no zits at all. You are indeed fortunate!